MANCHESTER, UK. AUGUST 2014. 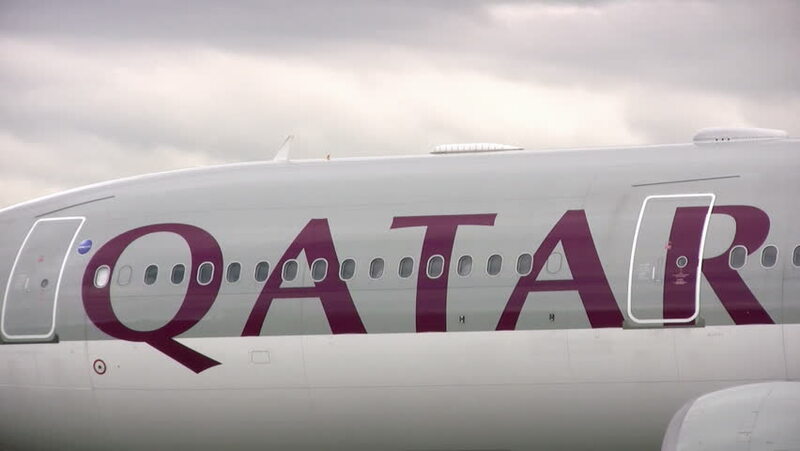 A close up of a Qatar Airlines Airbus A330-302 taxiing towards the terminal area on arrival at Manchester airport. 4k00:154K 60 fps loop. Black friday and cyber monday sale red cube 50 percent discount.